Paris Pass Review 2019: Is It Worth It? Are you planning a trip to Paris and considering buying the Paris Pass? Find out if it’s worth the price and whether this sightseeing card is a good fit for your trip! Paris is the capitol of France and home to some of the most famous tourist attractions in the world, including the Louvre (where the Mona Lisa painting is), Notre Dame Cathedral (climb the towers to see a beautiful view of Paris), and the Palais Garnier (which served as inspiration for the “Phantom of the Opera”). Paris is also known for being an expensive travel destination for tourist. While there are some free things to do in the city, such as walking through Luxembourg Gardens and checking out Sacré-Coeur, its best attractions and tours can be quite pricey. The Paris Pass can get you fast-track entry into all the city’s top-rated attractions for a discount. It’s silly to pay full price at popular tourist attractions in Paris when you can save money (and time) with the Paris Pass. 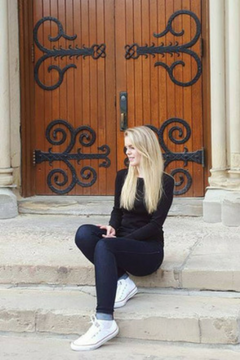 My sister and I traveled to Paris when we were students and found the Paris Pass was the best way to save money and visit all the top attractions without blowing our budget. And the best part was, we were able to check out more attractions than we had originally planned, because everything we wanted to see was included in the pass! 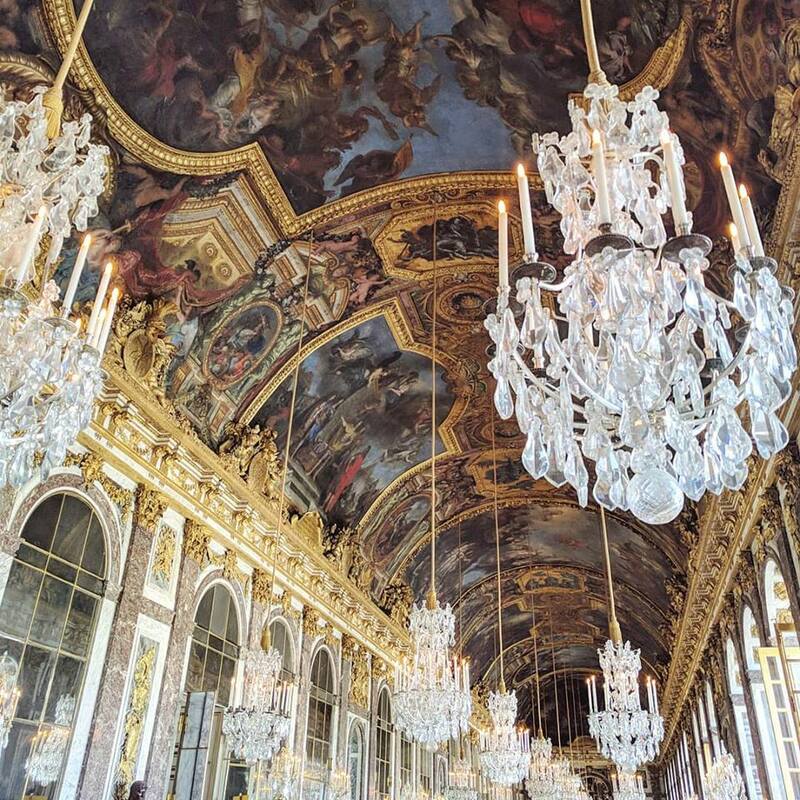 Hall of Mirrors at Palace of Versailles. FREE entry with your Paris Pass. What is the Paris Pass? What’s Included in the Paris Pass? Which Pass Duration Should I Get? Does the Paris Pass Provide Good Value? 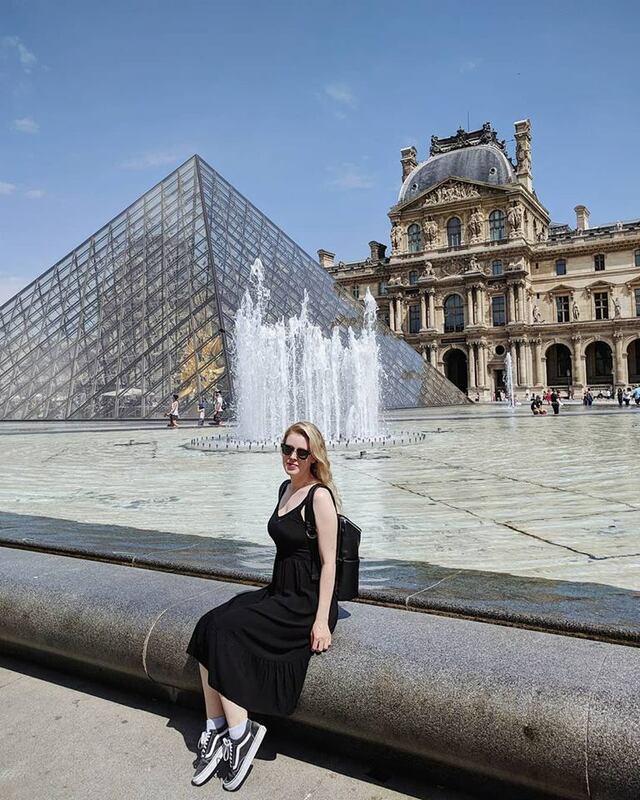 The Paris Pass is an all-inclusive sightseeing card which gives you FREE entry to over 60 top attractions and tours in Paris including the Louvre, riding the Hop-On Hop-Off Bus Tour, and Musee d’Orsay. The Paris Pass currently has a TrustScore rating of 7.2/10 on Trust Pilot. It’s also rated 4 out of 5 stars on Google and 93% of customers would recommend the Paris Pass to their friends. Over half of million visitors have used the pass to make the most of their trip, saving both time and money. The Paris Pass combines three separate tourism cards into an all-in-one comprehensive sightseeing package designed for first-timers to save money, time and stress. These cards include the Paris Museum Pass, The Paris Attractions Pass, and the Paris Visite Travelcard. FREE entry to top Paris museums and monuments such as Louvre, Musee d’Orsay and more. FREE entry to the best Paris attractions including a River Cruise and tour of the Opera Garnier. 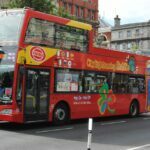 FREE 1-day Hop-On Hop-Off Bus Tour to see the city and sights. FREE unlimited travel on the metro, RER and buses. FAST TRACK ENTRY at popular Paris attractions such as the Louvre and Centre Pompidou. Extra discount offers at shops and restaurants in Paris. FREE 120+ page Paris Guidebook full of useful information and tips to plan your itinerary. As you can see, the Paris Pass can be a great option for first time visitors to the city. It includes everything you need to discover Paris from free entry, to skipping the long ticket lines, and helpful information to make the most of your visit. Simply buy your chosen pass online for one flat rate and download your pass instantly on your smartphone using their App (or get it delivered). Then scan your pass to enter any of the 60+ attractions. No cash or tickets are needed. This tourism pass is the most popular with visitors to Paris because it has the potential to save you both time and money. By just visiting two or three attractions per day, this can help ensure you get the best bang for your buck. Many of the top-rated attractions in Paris cost €15 to €25 per person to visit ($17-$28 USD), which can quickly add up for travelers. If you’re already planning to visit some of these popular attractions, buying the Paris Pass can easily save you money off the regular ticket price. Me sitting outside of the Louvre. Visit for FREE with your Paris Pass. The top benefit of using the Paris Pass is convenience. It can help take the stress out of sightseeing in a big city like Paris. With the pass, you don’t have to worry about waiting in long ticket lines or dealing with cash. Simply purchase the pass online before your trip and activate it when you visit your first attraction. I bought the Paris Pass twice now when visiting Paris and love how easy it is to use. Show your Paris Pass to skip the long ticket lines at top attractions, such as the Louvre Museum and Musee d’Orsay. 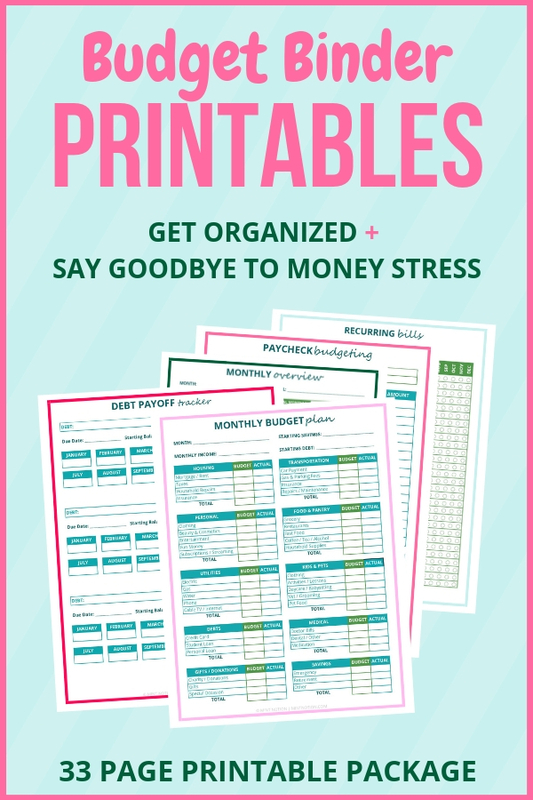 This benefit is priceless and it can literally save you hours of waiting during the busy travel months. Your Paris Pass can help you save time and enjoy more fun while sightseeing. The Paris Pass website also includes sample itineraries to help you save time when planning your trip. Your Paris Pass includes the Paris Visite Pass travelcard, which means you’ll get access to unlimited travel in central Paris (zones 1-3) on the metro, RER, buses, trams and SNCF. Paris has an excellent public transportation system (one of the best in the world) and it’s super easy to use. Simply download the free Metro Map available with your pass to help you navigate the city with ease. Don’t speak French? 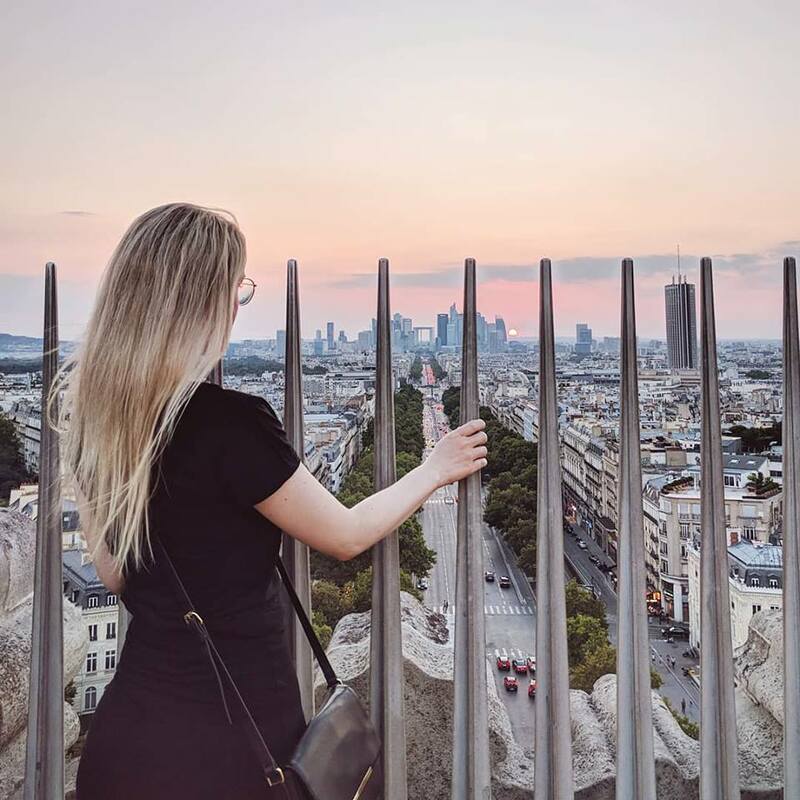 If you only speak a little French or this is your first time in Paris, the Paris Pass can help remove the stress that can occur when traveling to a foreign country. You don’t have to worry about dealing with ticket machines or fines when riding the metro. Hop-On Hop-Off Bus Tour – This 1-day bus tour is one of the best ways to get around the city. It’s also a great option if you want to familiarize yourself with Paris. You can ride it for FREE with your pass. Seine River Cruise – This one-hour boat cruise is a fun way to get a unique perspective of Paris. You’ll glide past some of the most iconic landmarks in the city, including the Eiffel Tower and Notre Dame Cathedral. You can ride it for FREE with your pass. 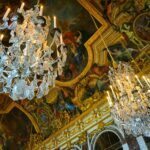 Opera Garnier – The Paris Opera House is absolutely incredible. It served as inspiration for the “Phantom of the Opera” and it’s one of my favorite spots to visit in the city. Enjoy a FREE guided tour of this historic landmark with your pass. Montparnasse Tower – This is the only skyscraper in Paris and on a clear day, you can see up to 40km away from the 56th floor observation deck. I highly recommend visiting here at sunset to see the city illuminated at night. Visit for FREE with your Paris Pass. Free Wine Tasting – France is home to some of the best wine in the world. Enjoy a guided (or self-guided tour) in a historic royal cellar. You can even choose to take home a free bottle of wine. Enjoy this fun tour for FREE with your Paris Pass. This photo was taken at Saint Chapelle. There was a long wait in the regular ticket line, but NO WAIT in the Paris Pass line. We could walk right inside. Visiting Paris is a trip of a lifetime for many people. If this is your first time to the city, then investing in the Paris Pass can be a great option. The pass is specifically designed to help first-timers save time and money when sightseeing. Use the built-in “Fast Track Entry” to skip the long ticket lines and enjoy more time at each attraction. Plus, having access to unlimited rides on public transportation with the Travelcard is a huge benefit. If you’re traveling with your family or friends, the cost of buying individual tickets at each attraction can add up quickly. Traveling with kids? You may find the “Fast Track Entry” feature especially helpful with your London Pass. Skip the long lines to make your trip go smoother with kids. 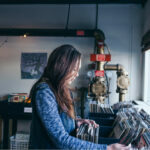 Plus you can save money on sightseeing, since many of the kid-friendly attractions are expensive, such as the Aquarium, Wax Museum, and the Hop-On Hop-Off Bus Tour. If you want to hit all the popular attractions in Paris, such as the Palace of Versailles, Arc de Triomphe, and Centre Pompidou, then buying the Paris Pass is a no-brainer. By visiting just two or three attractions per day, the pass can provide great value. Another benefit of the Paris Pass is you can explore the city at your own pace. If you visit an attraction and don’t like it — no problem! Leave and head to the next attraction on your itinerary. You don’t have to feel bad for wasting money because everything’s included in your pass. This photo was taken 10 minutes before the Centre Pompidou opened. Only a few people were in the Paris Pass line. We were in the museum within 2 minutes while everyone else had to wait in the LONG line outside. If you’re not interested in visiting the popular tourist attractions in Paris, then the Paris Pass may not be a good option for you. Once the Paris Pass has been activated, it’s valid for consecutive days only. If you’re getting the 2, or 3-day pass, visiting two to three attractions per day will ensure you get the best value from the pass. The 6-day pass can still offer a good value if you decide to take a day off from sightseeing. If you’re not interested in visiting Paris attractions, such as riding the Hop-On Hop-Off Bus Tour, wine tasting, River Boat Cruise, Montparnasse Tower observation deck, and so on, then you may want to skip the pass. If you’re ONLY interested in visiting museums, consider the Paris Museum Pass instead. The Paris Pass is available for purchase as a 2, 3, 4, or 6-day pass. It’s intended to be used on consecutive calendar days and will become activated once you visit your first attraction. To save time and hassle, I recommend buying your Paris Pass before your trip. Then you can plan your itinerary and activate your pass anytime in the next 12 months. You can click here to purchase your Paris Pass from their official website. This means if you’re using the 4-day pass card (which is the most popular option with travelers), “Day 1” starts when the card is first activated. If you active the card on Monday, it will be active for Monday, Tuesday, Wednesday and Thursday. The pass will expire on the last day at midnight. PRO TIP: To maximize your time and get the best value from your pass, I recommend starting early in the day for sightseeing. This lets you get a full day’s worth of sightseeing when you activate your pass. Please note: The 3-day Paris Pass comes with a 2-day Museum Pass. I recommend doing the attractions on the first or third day so you can get the best value from your pass. 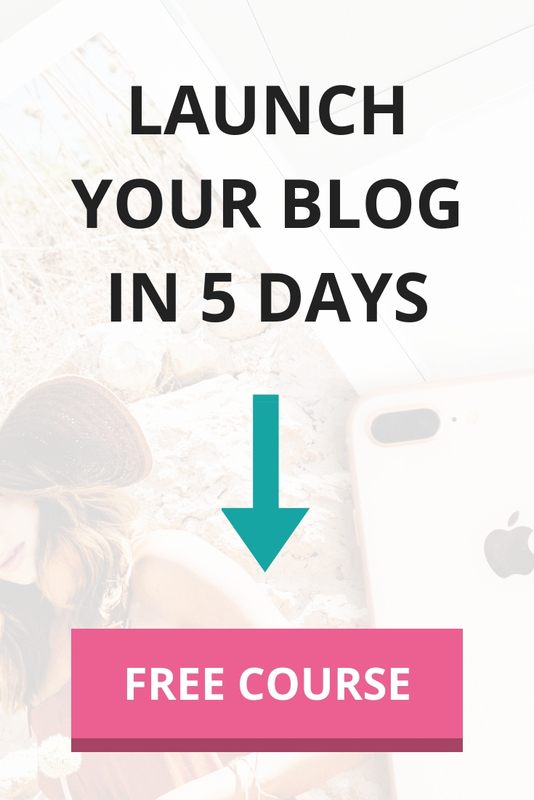 Step 1: Choose which pass duration you want to buy (2, 3, 4 or 6 day). You can click here to purchase your Paris Pass from the official website. Step 2: Download your mobile pass instantly using the Paris Pass App. If you prefer a physical pass, simply opt for delivery (they deliver worldwide). Step 3: You now have FREE access to any of the 60+ top Paris attractions included for the duration of your pass. 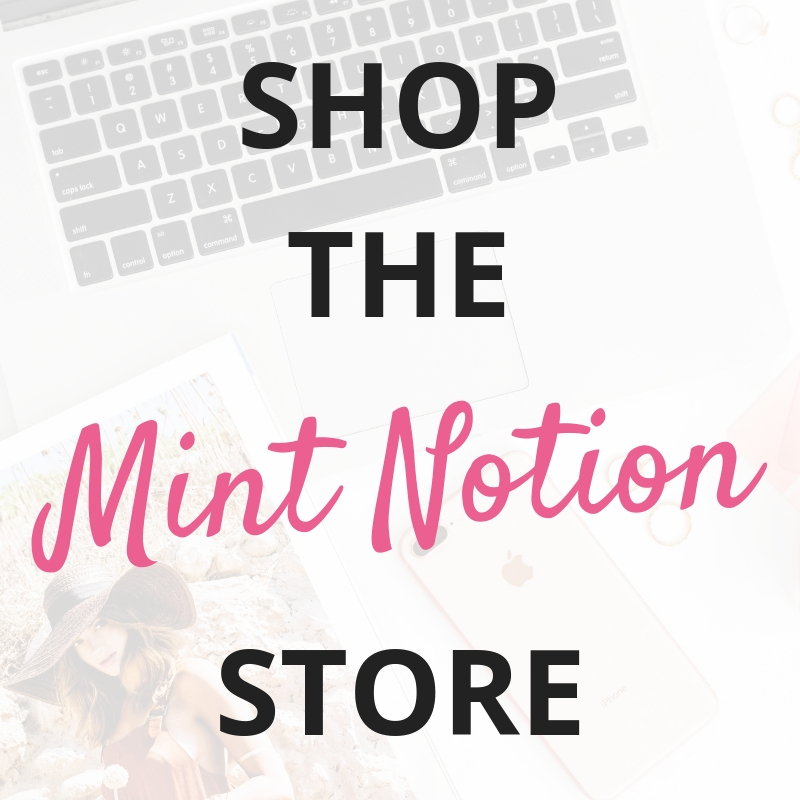 You can activate your pass anytime within 12 months from the date of purchase. Yes! If it’s your first trip to Paris and you’re interested in visiting all the top attractions, such as the Louvre, Palace of Versailles, taking the Seine River Cruise, and checking out the Paris Opera House, then yes, the Paris Pass can provide great value for your money. By just visiting two museums / monuments and one attraction per day, you have the potential to save a lot of time and money vs. paying at the gate for individual tickets. While the savings are modest with the Paris Pass (compared to the London Pass for example), the convenience factor can make the pass worth the price for many visitors. I’ve used the Paris Pass twice now when visiting Paris. Both times I’ve had an excellent experience with the Pass. My sister and I enjoy visiting a mix of museums, monuments, and attractions, so the Paris Pass is a great fit for us. (Please note: I paid for the Paris Pass myself. It was not sponsored or gifted). Buy your pass online before your trip. Then you can use the free guidebook to plan your sightseeing itinerary. This can help you get an early start when you decide to activate the pass, so you can enjoy a full day’s worth of sightseeing. Some major museums are closed on Mondays or Tuesdays. Make sure to keep these closures in mind when planning your sightseeing itinerary. Group each day’s sightseeing by area. After visiting Paris multiple times, we found the best way to cover all the attractions on our wish-list was to group them by area. For example, each day we would visit a different neighborhood and check out the attractions in that area. This saved us A LOT of time so we didn’t have to crisscross around the city to get to the next attraction. Avoid long lines at the Louvre. I hate crowds. I find the best time to visit the Louvre is in the evening on Wednesday or Friday when it’s open until 10:00pm. 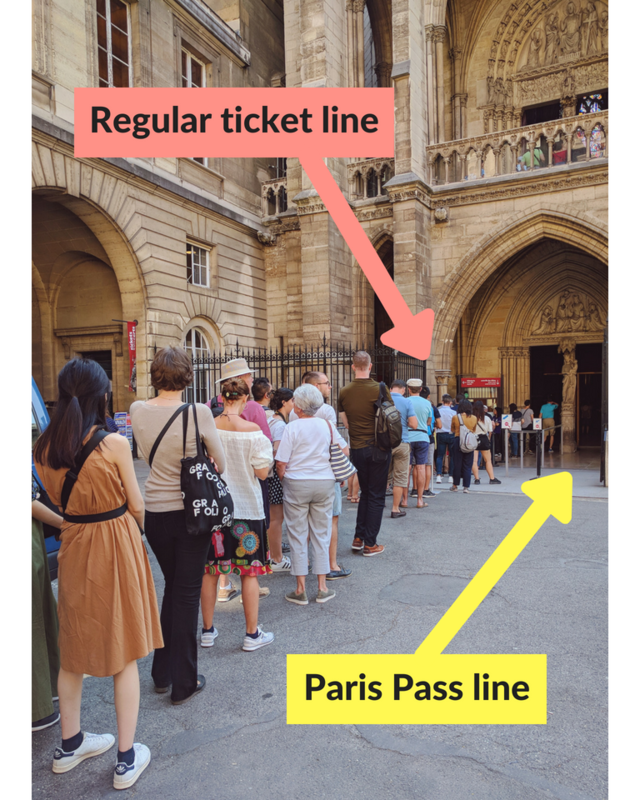 Also, when using the Paris Pass make sure to stand in the correct line for people who already have their ticket (“avec billet”). View from the Arc de Triomphe. Visit for FREE with your Paris Pass. 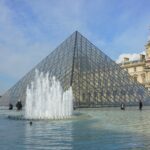 While the Paris Pass includes FREE entry to over 60+ popular attractions in the city, the only downside is that it doesn’t include entry to the Eiffel Tower or the Catacombs. Hopefully this is something that the Paris Pass will add to its list of growing attractions in the future. Arc de Triomphe – Catch a stunning sunset on the viewing deck of the Arc de Triomphe. This is one of my favorite spots in the city. Visit for FREE with your Paris Pass. 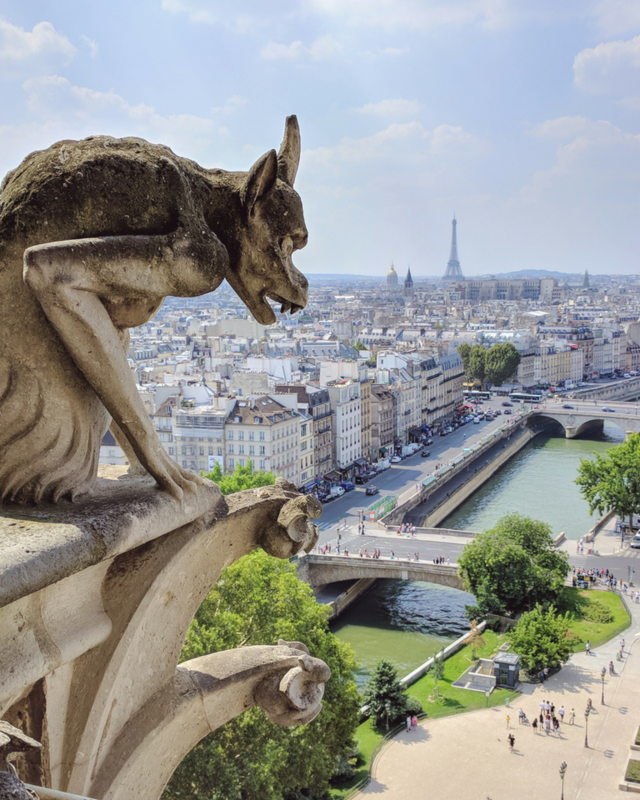 Notre Dame Cathedral – Climb to the top of the Notre Dame towers to see an incredible view of Paris. I’ve been here 5 times because I love it SO much! Pre-book your entry time in advance with JeFile app so you don’t have to wait around. Visit for FREE with your Paris Pass. Seine River Cruise – Enjoy a unique perspective of Paris as you pass under top attractions such as the Eiffel Tower and Orsay Museum. Ride for FREE with your Paris Pass. Montparnasse Tower – From the 56th floor terrace, you can enjoy some of the best panoramas of the city. Visit for FREE with your Paris Pass. Another thing to keep in mind is the 3-day Paris Pass comes with a 2-day Museum Pass. If you choose to purchase the 3-day Paris Pass, I recommend doing the attractions on the first or third day so you can get the best value from your pass. As you can see, the Paris Pass can be a great way for travelers to save time and money when exploring the city’s best attractions and tours. 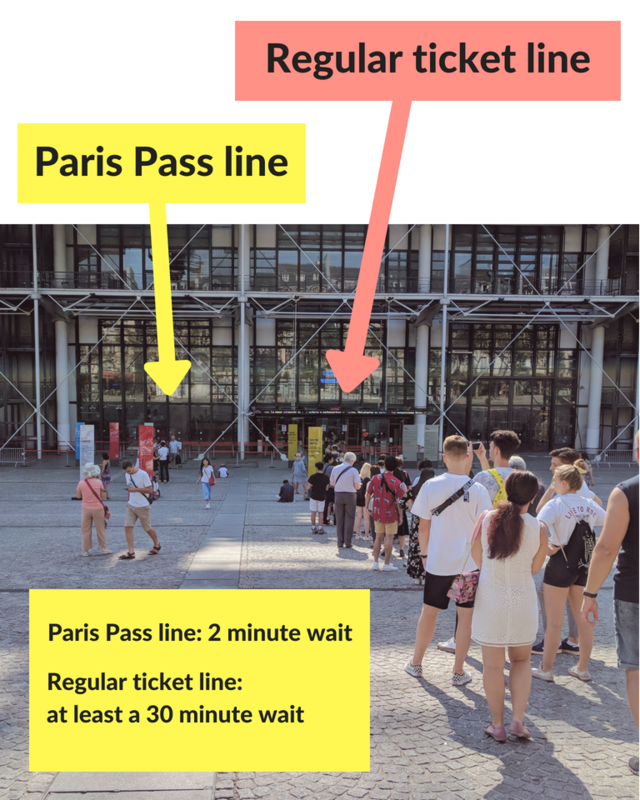 The Fast Track Entry feature can let you skip the long ticket lines, which is a huge time saver in a busy city like Paris. If you’re visiting Paris for the first time, the Paris Pass can provide an easy and stress-free way to sightsee. If you’re interested in hitting all the top attractions in Paris, then getting the pass is a no-brainer. However, for those who are just planning on visiting a few attractions, you may want to consider the Paris Explorer Pass or the Paris Museum Pass instead. And if you’re traveling on a super tight budget, don’t worry, there’s plenty of free things to do in the city. Remember, this is your trip to Paris. 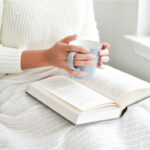 You can plan it to suit your travel style and interests. Happy travels!